Providing service to Cyprus and overseas we are specialists in water treatment for domestic, industrial and commercial premises and processes. 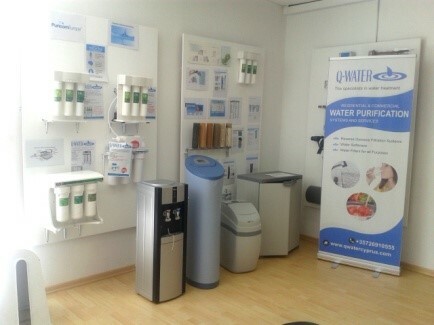 We offer an extensive range of Water Purification systems including small & large Reverse Osmosis systems , Limescale Management systems, Ion Exchange Water Softeners, Ultrafiltration systems, Water Dispensers ,a large selection of Water filters and filter housings , various Water Saving accessories. We also provide water and tank disinfection of domestic, commercial and municipal water tanks using a Unique Disinfectant which allows an eco-friendly and safe treatment. Moreover we install complete Solar Hot Water Systems, comprising pressurized Cylinders and high efficiency Selective Solar Panels and Solar Pool Pump Systems with high performance Solar Modules & Lorentz Surface Pumps. We are a long standing business, certified with the Quality Management system EN ISO 9001:2008, offering after sales service with long term maintenance and comprehensive warranties for products which meet European Standard Specifications. (With recommendations from homeowners, municipalities, hotels, hospitals, bakeries, wineries, restaurants , Coffee shops , laundries and developers. 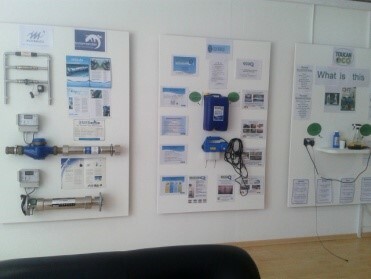 Trading and installation of water treatment equipment. Production of disinfectant solution and disinfection of premises and water. With this prestigious certification, our customers can be assured and confident to work with a company providing quality in products and services that have been internationally recognized. This certification represents our commitment to set up strategic alliances with customers and suppliers, always seeking win-win relationships to benefit our clients. It also reinforces our continual improvement process through feedback from our daily operations. When customers choose to purchase our products, we understand that what they’re really investing in is the service and relationship that Q-Water members provide.